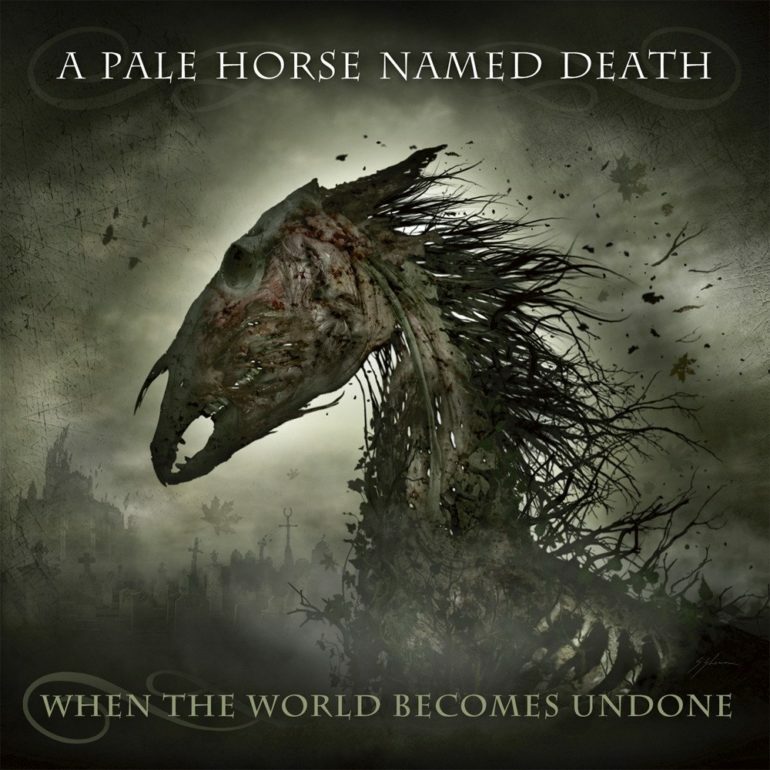 Back in 2011, members of Life of Agony, Biohazard and Type o’ Negative came together and started a new project called A Pale Horse Named Death. After some changes the quintet now consists of Sal Abruscato [vocals, guitar], Eddie Heedles [guitar], Joe Taylor [guitar], Eric Morgan [bass] and Johnny Kelly [drums]. Their new album “When the World Becomes Undone” is the third release by this American metal band and released on January 18, 2019. Starting the album with the fitting title “As It Begins” the tone is set to an album packed with of doom and gothic metal. The song is followed by the title track “When The World Becomes Undone”, which is about all the troubles going around in the world and more personally matters about what happens or can happen to family and/or loved ones. This song is underscored with dreamy keys to add to that doomy feel. Furthermore, the album consists of tracks like “Vultures” which hinges on guttural guitars and chants which is about the so-called friends which are here today and gone tomorrow. The second to last track “Dreams of the End” builds a beautiful bridge to the closing track called “Closure” which is a fitting end to a doom/gothic metal album like this one. It’s an actual outtake of a funeral and their church bells. So, from guttural guitars, riffs which could be taken from the fifty’s and church bells, this is doom/gothic as one would like to hear. Horns up for Dobias! He writes album/EP reviews of all kinds of international metal bands. Hell yeah!